For the ultimate in fall style, you'll want not just leather boots but fringed suede boots from the new Minnetonka x Maje collaboration. Inspired by 1970s urban bohemia, the boots come in two styles: a fringed suede thigh-high boot, the Totem ($145), and a fringed suede ankle boot, the Boheme ($95). The Totem comes in three colors (red, brown, and black), and the Boheme comes in two (black and khaki). Each pair of boots comes with a gold charm specially made by Maje designer and founder Judith Milgrom as a travel keepsake for the collection. "I was very much inspired by travels, yet there are also—as always, in my collections—very chic Parisian silhouettes," Milgrom told InStyle. "I was looking for an accessory to give these structured urban looks a cool bohemian twist in line with the same theme. These fringe accents add that element." We'll be grabbing a pair ASAP! 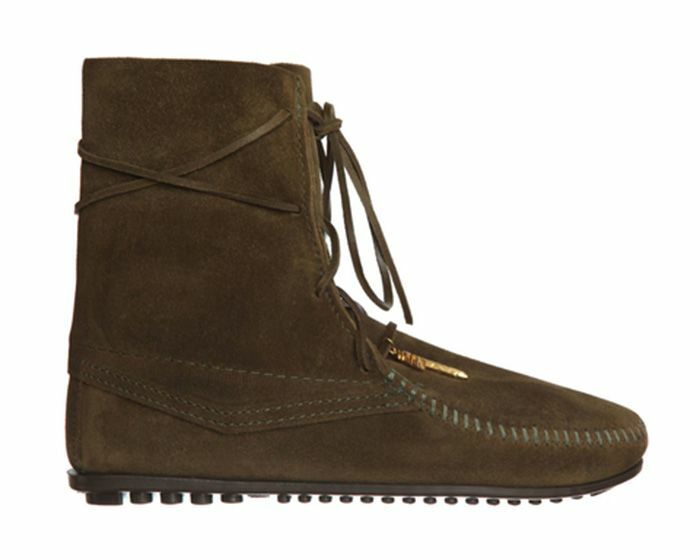 Scroll down to see and shop all the boots in the Minnetonka x Maje collaboration! Which pair of boots in the collaboration is your favorite? Tell us below!